Are you just tripping balls that Professor Oak just doesn’t know what to do with them? Yeah, we all heard that joke before his article is not going to cover every PokeBall type seeing there is just so many of them, it will instead stick to the main ones. What is the first item you ever used to capture a Pokemon? Most likely the average PokeBall we all know and love so much. It has a red cover and a white bottom with a button in the middle that close the ball. It is the most basic version of a PokeBall and is the first introduced to the player or trainer or just whatever the main protagonist goes by. Later in on your journey you will discover the PokeMart which is a store that sells good for use with capturing, battling, and training your Pokemon. If you buy around ten or so PokeBalls you will get a Premier Ball which is a solid white PokeBall but the middle ring is a glowing red. It has the same power as the PokeBall, but just looks cooler in my opinion. You will most likely discover the Great Ball, it does just exactly like it sounds. A PokeBall that is greater than the first. You will have a better chance in capturing a wild Pokemon than with the PokeBall or Premier Ball. The Great Ball is much like the PokeBall, just with some added blue. You will have Great Balls with you for the majority of your journey, until you start getting stronger Pokemon and therefore the wild Pokemon will start getting stronger as well. You will eventually need to buy an Ultra Ball. An Ultra Ball is probably the most famous out of all the PokeBalls used among trainers. The Ultra Ball is much more powerful than the PokeBall and Premier Ball. It has a higher catch rate than both and the Great Ball. It catches the majority of Pokemon for a trainer, and in some cases a nice tool for helping in the catching of legendary Pokemon. The Ultra ball has a white bottom and a black top with yellow on it. The last PokeBall that is fairly popular is the Master Ball. The Master Ball is the ultimate PokeBall, any, and I mean any, Pokemon can break free of it without fail. Mainly used on a legendary Pokemon among trainers. The Master Ball is more powerful than all of the stated PokeBalls by far. It has a white bottom and purple top. It has to red spots on the top with a white slightly above the center. There you have it, the main PokeBalls. I understand the Premier Ball isn’t that popular, it was just added since you get them through buying PokeBalls. Hope this article helped you out if you were wondering the capture rates of the main PokeBalls. We should all know about the general mechanics of the Pokemon typing at this point, for sure. Now, I want to start off with one of the most known Pokemon types. Well, they are actually close to all being equal so this doesn’t really count as the most Pokemon type used. No, not at all. This type is a lot like the PokeBall, the most basic type of Pokemon. This type would be pointed out as the normal type Pokemon. Normal type Pokemon have normal attacks, receive normal damage, just the basics. Nothing really has advantages or disadvantages over them except for just a small amount of Pokemon. The only type of Pokemon that has an advantage over the normal type Pokemon would be the fighting type. A fighting type Pokemon consists of something like a Machop. But let’s get back to the normal type Pokemon, shall we? Normal type Pokemon can hit all Pokemon, nothing is weak against the normal type Pokemon attacks. Everything is just neutral. The only type of Pokemon type that cannot be affected by a normal type attack is the ghost type Pokemon. Out in that world of Pokemon! The Pokemon universe is one of the most interesting and greatest of all the universe out there! Pokemon live in the sea, in trees, forests, urban area, the sky・What? How could something live in the sky? Well, I should have said travel in the sky. But, out of all of these Pokemon each and every one of them have their own type. These types are all guided somewhat towards the elements. Today, or just in this article, I will be talking to you about a single Pokemon type. This type, as stated above about the sky, will of course be about the flying type Pokemon! Flying type Pokemon are usually of course birds. They are used outside of battle among trainers for flying. Yes, just flying. That is only if that particular trainers has the Hidden Machine Fly and the gym badge that allows that attack or move to be used outside of battle. You simply teach it to your flying type Pokemon and then select that Pokemon and go to Fly, a map will appear and you will be able to select where to fly to. You can only fly to spots that you have been to. As in, if you are in Pallet Town and want to fly to Pewter City, it works because you have been there. But if you want to travel to a place like Saffron City, a place you haven’t been to yet, you wouldn’t be ale to fly there until you travel by foot. Flying type Pokemon have an advantage over grass and bug type Pokemon to name a few. If the flying type Pokemon uses a flying type move to attack it will get a boost since it is the same type at that move. None flying type Pokemon that have flying type moves won’t be able to get the boost but it will have close to the same effect. Electric, Ice, and Rock type Pokemon have an advantage over flying type Pokemon. Ground type Pokemon have no effect on Flying type Pokemon nor do their moves. The same counts for the above, an electric type move known not by an electric type Pokemon but by another type of Pokemon won’t have the boost that an electric type Pokemon who uses an electric type move would have. The first flying type Pokemon was Pidgey, a dual type, Pidgey is both a flying type Pokemon and a normal type Pokemon. The only pure flying type Pokemon is Tornados of Unova I believe. What or who is your favorite flying type Pokemon out of all the six hundred plus? Or what is your favorite flying type Pokemon in each region? Ah yes, a nice place, I am thinking of a nice, quiet, peaceful place・Can you guess where it is? I will give you a hint. It is in the world of Pokemon, and is quite common in all of the regions. It is not in the sky, close to water usually, could be by a cave or near a mountain. It is a meadow, the grassy plains where the Tauros graze. You are still right if you guessed forest though! Because all of this Pokemon have types. Like that Tauros for example is a normal type Pokemon. Such a huge world in Pokemon. All of these types must add up in a way, of course. What is your favorite Pokemon? Well, that is a common question given among Pokemon trainers to one another. But types, what is your favorite type? Do you have any certain Pokemon in mind with any types at all? Well, this type is not my favorite of course, but it is my article’s topic. This type would be the fighting type. Now when you combine all of the Pokemon together, there will be a fraction for each type, most of this fraction would be equal for the reason of as of yet, I think there is no majority typing when it comes to Pokemon. But one of those fractions would be the fighting type Pokemon. This is just a neat type in general. Fighting type Pokemon have some neat trades. Some fighting type Pokemon, well, not just some, not just some at all. But almost all fighting type Pokemon tend to be the most human-like Pokemon out of every type. It is just a pretty cool fact for you there. 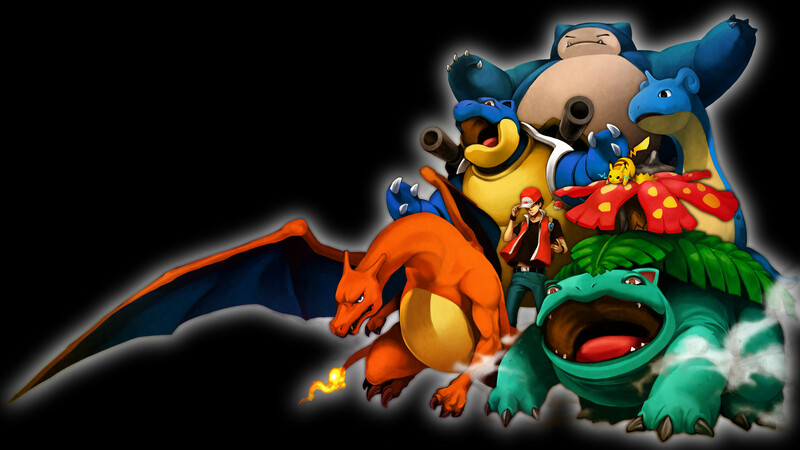 Fighting type Pokemon have advantages over several Pokemon, the most notable would have to be the normal type Pokemon. A normal type Pokemon’s moves will have neutral damage on a fighting type Pokemon, though a move from a fighting type Pokemon will be super effective against the normal type Pokemon, quite literally actually. For the most part, fighting Pokemon tend to be pretty single typed, that type being fighting of course. There still is a decent sized number of Pokemon that happen to be in the dual type, one of the sharing types being fighting. The most common you would find out of these is the fighting type Pokemon and the fire type Pokemon. For the past three generations the fire type starter Pokemon has evolved into a fighting type Pokemon dual type with fire type Pokemon. Now for advantages, well, weakness with fighting type Pokemon, counters if you will. The one type of Pokemon that can have a super effective hit on the fighting type Pokemon would the flying type Pokemon. Now, not just a flying type Pokemon, but also any flying type Pokemon move. The type of the Pokemon doesn’t matter as much as the move. Another note, fighting type Pokemon attacks have no effect on ghost type Pokemon, much like normal type attacks. Unless you have your Pokemon use the attack Foresight. The first fighting type Pokemon was most likely Machop in the Kanto region. Machop has no dual types, its final evolution would be Machamp which is still a fighting type Pokemon. Who is your favorite fighting type Pokemon? Ah yes, the mighty Charizard. A favorite among some of the oldest trainers of Pokemon. I would agree with them. In this world of Pokemon there is a ton of Pokemon, yeah we all heard that before of course. But there are also at least a small handful of types out there. Just about seventeen or so. As stated above, Charizard, a fire type Pokemon and a flying type Pokemon, is of course part fire! This article will go over a few details about the fire type in the Pokemon universe. Fire type Pokemon are among some of the strongest you will encounter, but all Pokemon are pretty close in strength if paired with their own tiers. The main weaknesses to the fire type Pokemon are water types, of course. But there are also ground types and rock types.